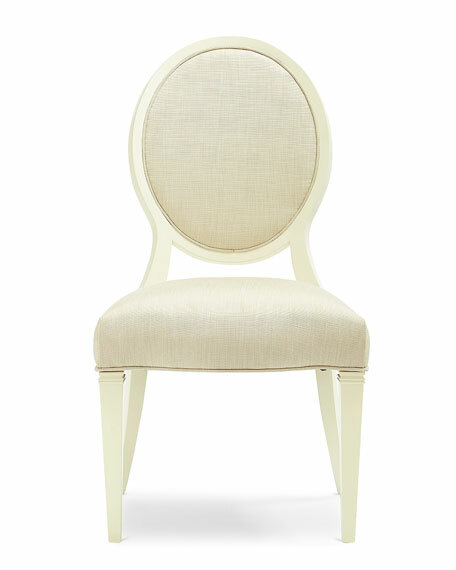 This fauteuil side chair offers subtle sophistication. 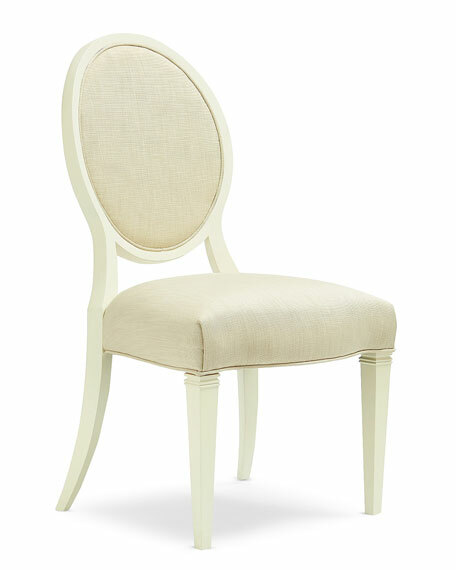 Its unfettered Pure Ivory wood frame is tastefully inset with a neutral shimmering ribbed fabric. 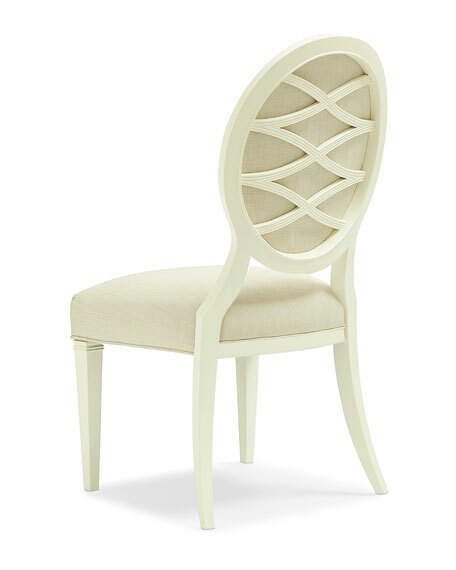 Fluted tapered and sabre legs enhance its curviness. 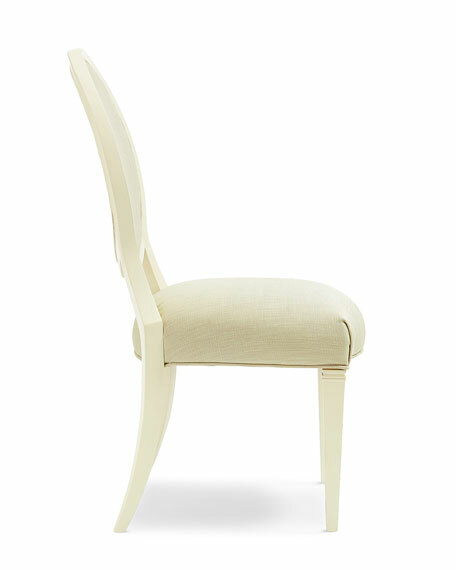 The back shows off a gracefully carved ivory fret that wraps this chair with charm. 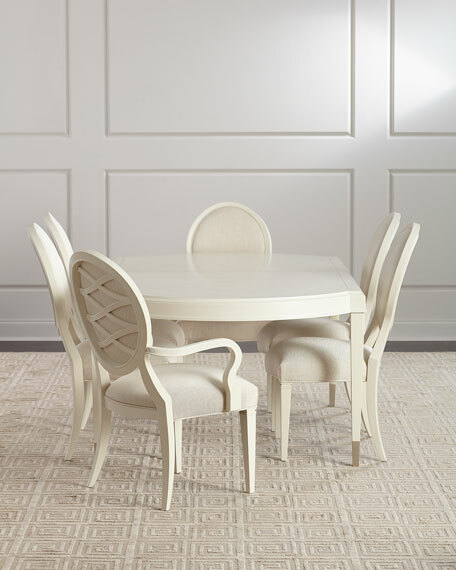 Birch and maple wood frame; cotton/polyester upholstery. Approximately 21"W x 23.5"D x 41"T.